Special thanks to Oxford Rail for the loan of their model for the purpose of this review. Designed originally for the GER (Great Eastern Railway) by Alfred J Hill and later refined by Sir Nigel Gresley for the LNER (London and North Eastern Railway) the N7s (originally classed as L77s) totalled 134 members and were built between 1915 and 1928 across 5 workshops. Changes in the design over nearly 3 decades resulted in 5 variations being built with different firebox types between 1914 and 1943. The N7s worked suburban passenger trains across the northern and eastern areas of London until their duties were taken over by DMUs in the 1950s. Withdrawal of the class took place between 1957 and 1962, only one member of the class survives in preservation today. 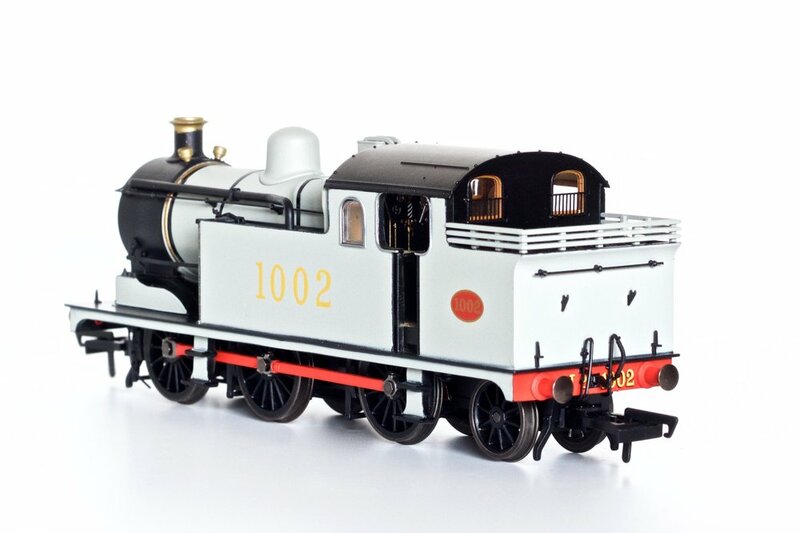 In this review we will be taking a look at Oxford Rail's debut release of the N7 class in the form of GER L77 class no:- 1002 (OR76N7001) in wartime grey with a RRP of £109.95. Oxford Rail's packing closely resembles that used primarily by Hornby and Bachmann. The model is encased in the now well-known "block of ice" style packing, which in turn, is placed in a sturdy cardboard box with a windowed card sleeve over the top. Also enclosed is an accessory pack containing a pair of brake pipes along with the care/maintenance sheet. The amount of intricate detail contained within this model is incredible to say the least. Moulded details come in the form of boiler bands, rivets on the cab roof and a coal load in the bunker. Although the coal is matt and correctly scaled it is presented as perfectly flat, which isn't very realistic, however this can be rectified as space is vacant to add a real coal load over the top. Turning to the cab the small opening offers a restricted and darkened view of the interior but an LED torch will reveal the beauty that resides within. Pipework has been delicately picked out with copper paint apps along with silver paint for the controls. The dials for the steam pressure, air brakes etc... have also been picked out with the same care and attention as the details on the back head. Below the running board the high level of detail continues with the pre-fitted brake rigging, brake blocks and sanding pipes on the front and rear drive wheels. 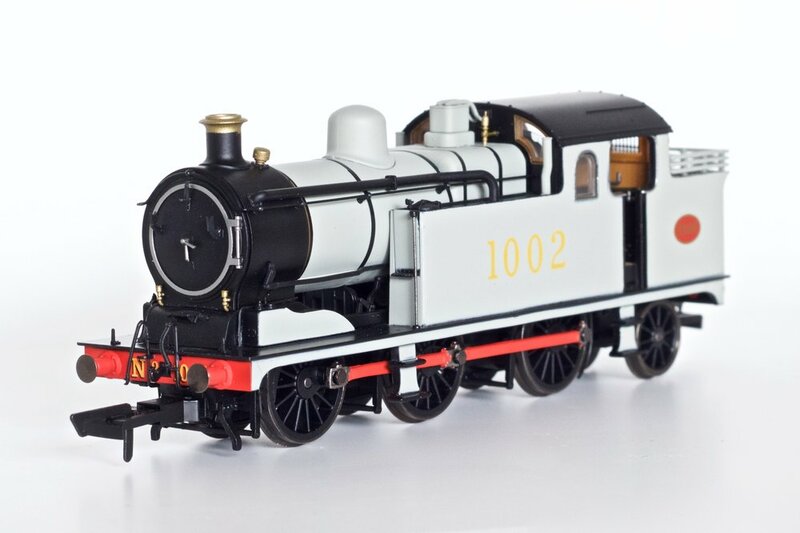 The only blemish on the model, which some people may have an issue with, is the visible seam running parallel along the bottom of the boiler. This is where the body meets the chassis and so therfore it was unavoidable but it's not all doom and gloom as the seam will only be obvious with brighter colour schemes (GER wartime grey, LNER apple green etc...) whereas darker liveries (LNER black, BR black etc...) it won't be as noticeable. 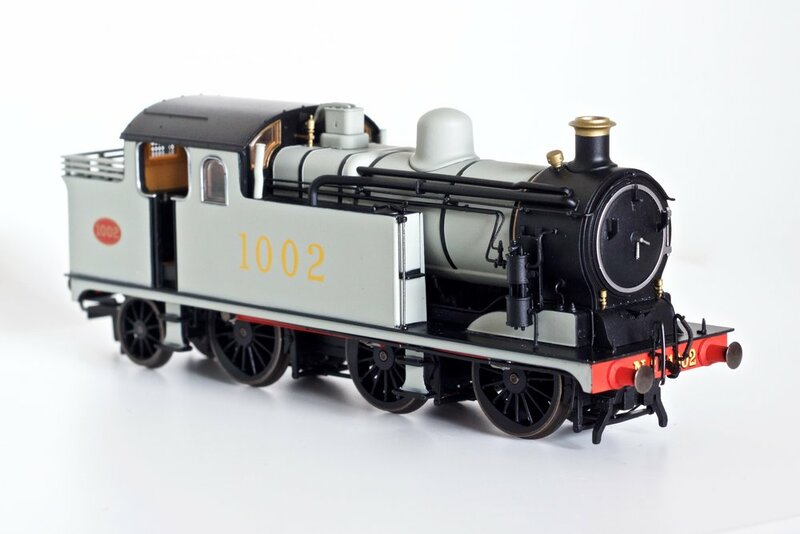 With the variations in firebox and boiler designs Oxford Rail have engineered the tooling for the model to reflect these changes, resulting in a greater variety of choice for modellers. The GER wartime grey livery with black boiler band lining makes for a very interesting change from the normal colours we're used to. The running number on the water tanks and buffer beams are printed crisp and clear as are the builders plaques on the coal bunker. The side rods are painted in bright red and really stand out from the black wheel-set. The model is ready to receive an 8-pin DCC decoder and space is also provided to accommodate DCC sound. 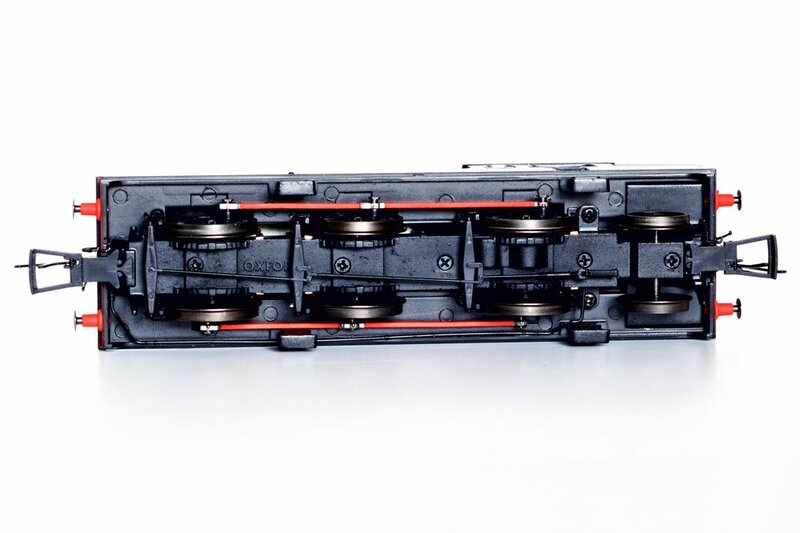 A 5-pole motor with brass flywheel provides the model's propulsion, it's also geared for slow speed shunting. Electrical pick-ups are fitted to all the driving wheels and with a long wheel base there's little chance of cutting out over even insul-frog points. The axle of the trailing pony truck also has plenty of room to manouver to avoid derailment over tight corners. After the initial run-in period the model performed smoothly and silently as a light engine, even when turned up to a moderate speed. When it comes to tractive effort this is one model that certainly isn't lacking. 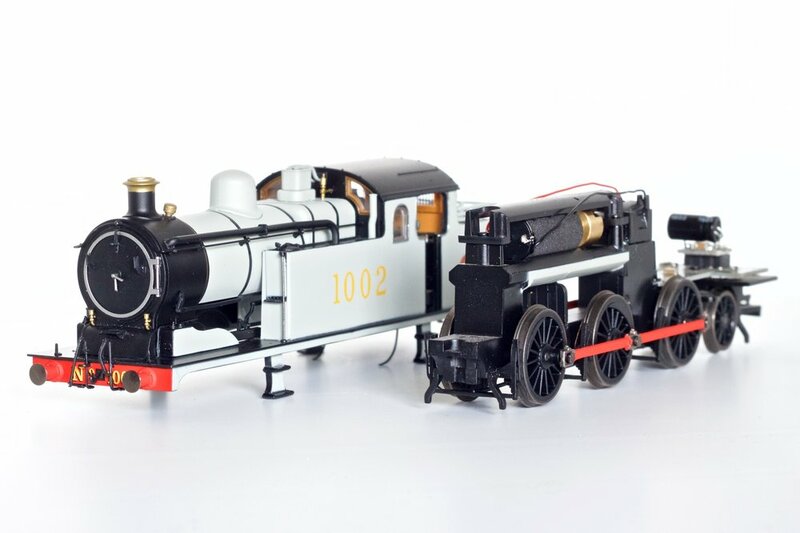 The metal chassis, water tanks and coal bunker give this model all the pulling power it needs and more besides. It has to be said that Oxford Rail are onto a hit with the N7s. The solid construction and well machined motor assembly shows that they've come on leaps and bounds since the launch of the Adams Radial tank not so long ago. They also prove that you can produce a highly detailed model without it having to cost an arm and a leg to the consumer. At the time of writing this review Oxford Rail announced their latest products coming up in 2019. All I will say is watch this space for good things are ahead.